Footwear is an essential part of your outfit. A perfect shoe can highlight your style and precisely complement the rest of our clothing. However, each season is different. Fashion changes along with the seasons and adapts to them with new designs or bringing back classics that are always valid. To match your look par with the current trends and with those that are to come, you must know the trends for fashion in the following season. 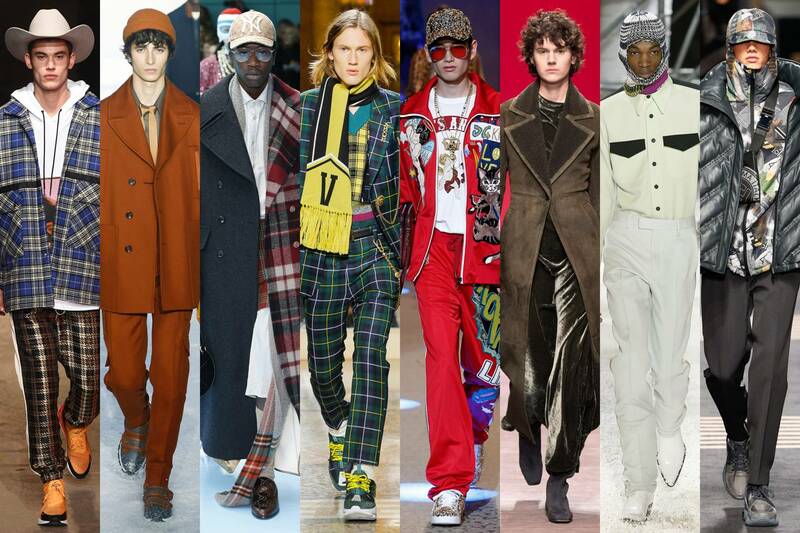 Well, the fashion of fall 2018 has already been seen for weeks in the “Catwalks” and shop windows. 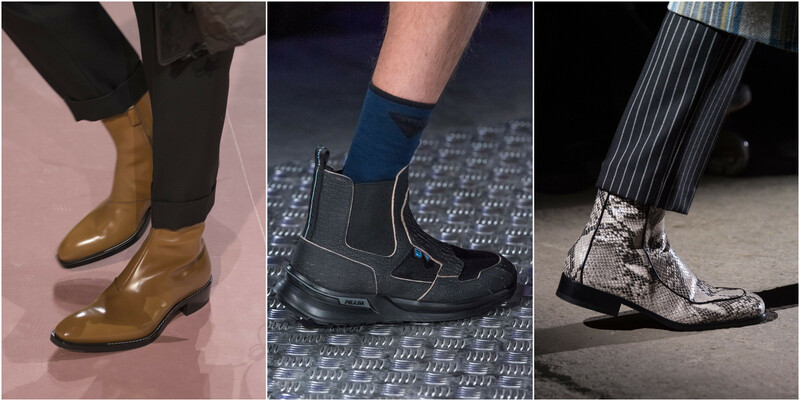 Although it is essential to know what trends are going to wear pants, shirts or jackets, we do not want you to stop showing off your feet to the last either with sneakers, boots or with classic shoes. 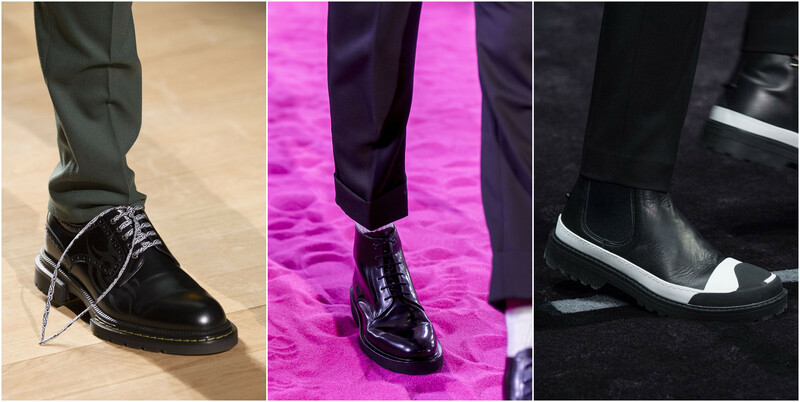 So, pay attention because we offer you below and in detail, the best trends of men shoes in Fall 2018! With winter around the corner, one of the shoes that you cannot miss in the closet, is the classic model of closed shoe, leather, and laces. An exquisite style for wholesale men shoes and that should be the trend in every season, what other shoes will suit you better for a suit? Well, possibly no other. In the fall season 2018, a fusion of the incongruous is welcomed. Many designers adhere to this trend. Many models repeat deserts or Chelsea. Such men shoes have a medium height, and its socks are rounded or narrowed. The pair can be decorated with a catchy lacing or made in bright colors. Such solutions will appeal to the original and extravagant men who want to stand out from the general crowd with their individuality. We will also find many proposals in ZARA, H & M and other low-cost footwear companies for suede boots, with zippers or laces and a thin sole. The color tile will be the best ally for this type of shoes, very easy to combine with skinny jeans and oversized jumpers of the same tone, or checkered shirts that are so fashionable, along with influences of styles such as sports. The idlers are also going to be fashionable among men’s shoes for fall-winter 2018. The moccasins were the trend in summer, and now for the fall, they have retaken the lot. Moreover, with details like tassels that will allow you to go to the last one if you combine them with styles such as “casual” or with a knit sweater together with jeans; a simple “look” but that will be the ideal to be trendy thanks to loafers. 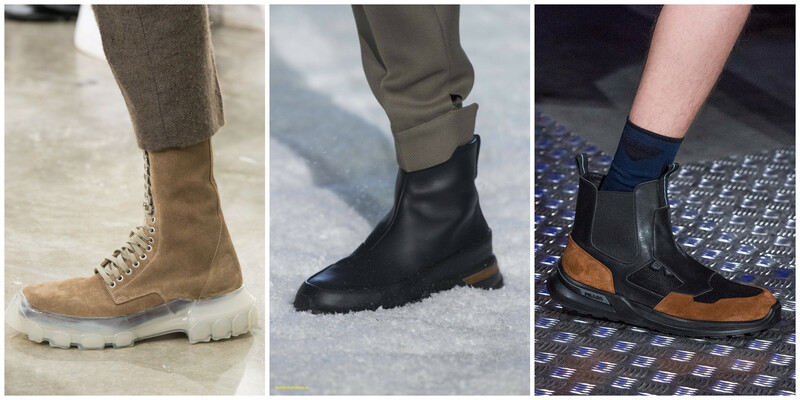 The boots were the menswear that was most fashionable in the last year and again prevails for fall 2018. 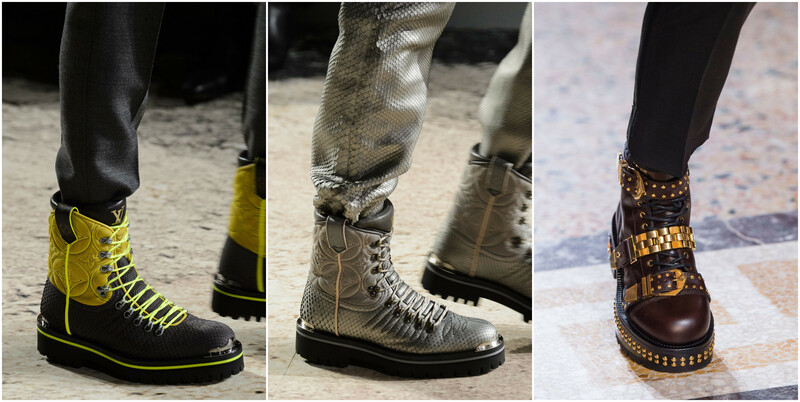 The versions of boots inspired by the military style come back with strength, although this season we will see them something more “refined”, not so high and in colors that go from black to brown mainly, boots that will be great with both “denim” fashion and a more “casual” style. Finally, it is worth mentioning the sports shoes, which you already know is the recurrent one every season. The running shoes, and especially the “running” models are imposed for the most modern and current man, so you cannot miss so much for all kinds of “looks” but mainly to wear them with jeans. The basic rule, which should be adhered to when choosing shoes – it must correspond to the general tone of clothing and accessories. 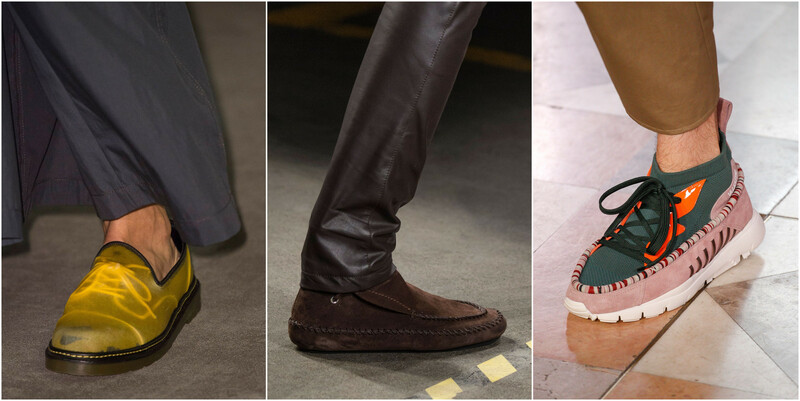 The ideal men shoes for fall 2018 should emphasize the general tone of the rest of clothes and accessories, be of high quality and comfort, and reflect the status and personality of ones who wear it. 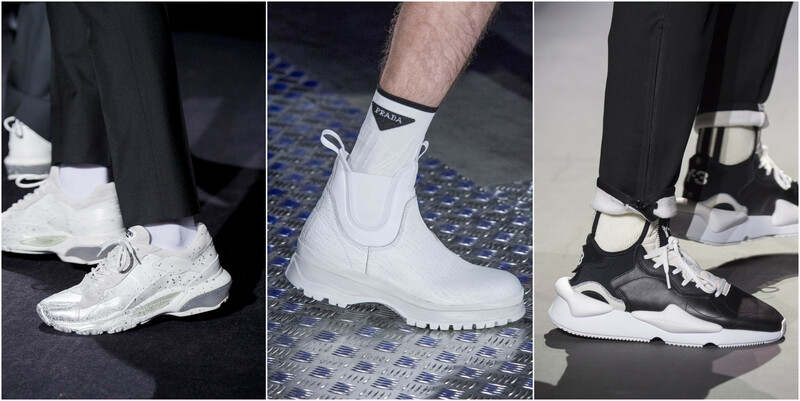 For more trendy men shoes in fall 2018, please go to Banggood.